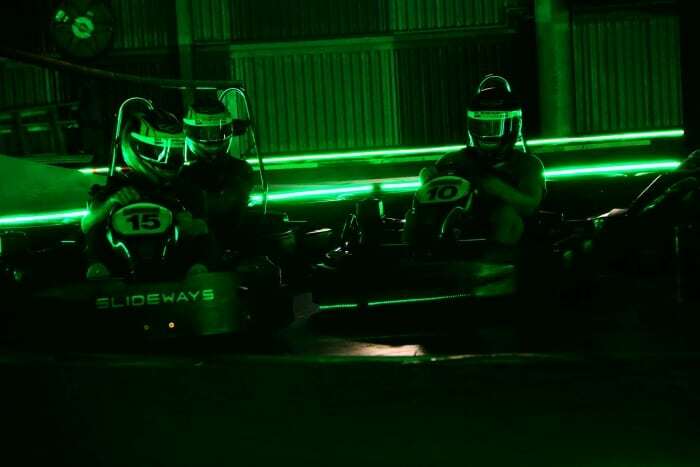 Glow Karting at Slideways Go Karting Brisbane Eagle Farm! 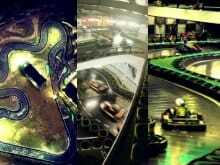 Ok, so Slideways Glow Karting was an April 1st stitch up, but seriously, who’s keen for a crack? Jump onto our Slideways Go Karting Facebook, our Instagram or Twitter, and let us know your thoughts! Slideways Go Karting Brisbane is open 7 days a week from 10am – 10pm, including these school and public holidays, at 870 Kingsford Smith Drive, Eagle Farm. Definitely not an April fool’s joke is our bespoke lighting system! Designed and developed in-house by the Slideways Go Karting team, the LEDs replace the traditional flags used around the circuit, and can be remotely changed for the different portions of the venue by our track staff. 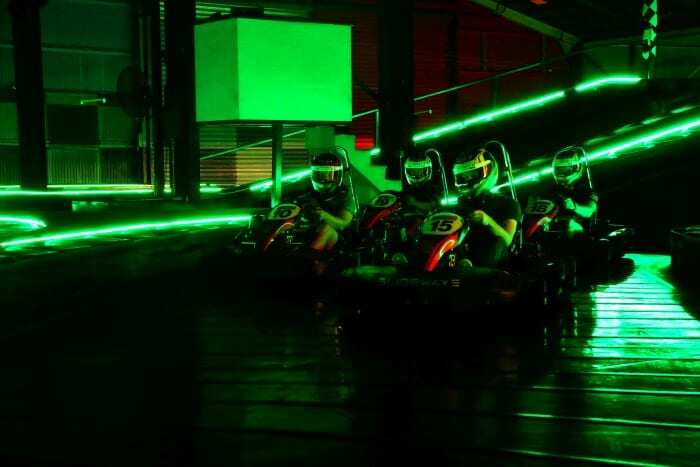 The LED lighting system is also electronically linked to the kart control system on our 9HP Honda engines, which means that under yellow lights, the karts slow down, or automatically stop under red lights. Check out our pricing for small groups, while you can have the track entirely for your own group, all need is make a booking of 10 people or more – check out our Group Racing Packages for special pricing and details! Bookings are essential, call (07) 3868 2225 for more information from 10am – 10pm 7 days a week. 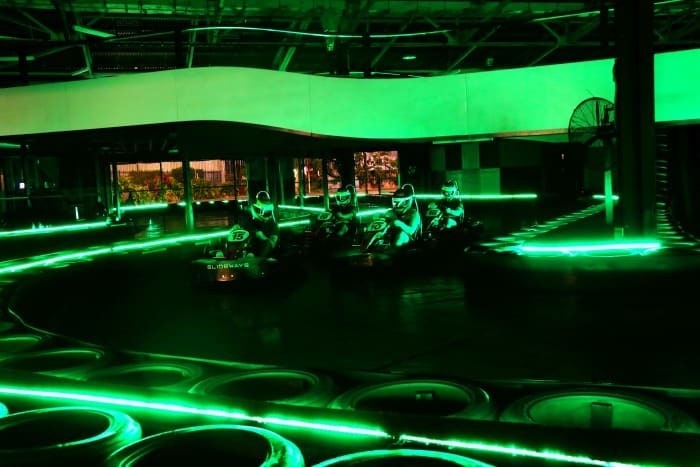 Check out our Slideways Glow Karting video!